p780 dude, 05 Apr 2015The phone is 7/10 on kitkat. +'ves 1. Good battery life 2. Good for gaming, mostly b... moreIf you don't like the lenovo skin get a launcher instead. I myself, am using nova launcher. About GB, if you remember, GB had so much updates back in the day because it was buggy as hell! 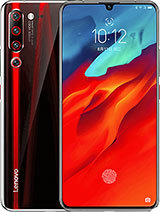 KK seems to have taken a misstep on this phone, not because of Google or AOSP but the idiots at lenovo who were assigned to portKK on this phone. 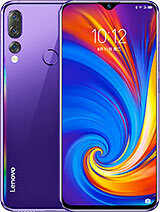 KKis quite good and stable as I experienced first hand on previous lenovo phone particularly the s930 which when I got it was in JB and had an OTA to KK without any ill effects. It's just the OEM developers who are messing it up. I bet, if you could port stock Google Android on this, it won't have the problems as encountered by so many users. Mrkoool, 26 Mar 2015Listen guys,,, am a lover of my lenny p780 and i always wanted to upgrade it to Kitkat. After ... moreWhen I upgraded, I didn't remove my SIM and memory card nor did any resets except what the system did. It had no effect whatsoever on my cards. Also, my battery life wasn't affected. Still getting 2 days worth. Anonymous, 07 Apr 2015do the back cover of lenovo s850 have any special features? it is different than other covers ... moreNo. Nothing special. Just a plain old metal cover. I bought a new one from their service center here in the Philippines and judging by the look and feel of it (aside from the rubber insert), nothing's special about the plate. Sorry. I just updated to s228 firmware a week ago and I must admit, it's as trouble free as the the first time I jumped to s226 (I skipped the previous update prior to s226 and did the same with s228). Aside from the stupid decision of lenovo of not including their previous "backup and restore" app, (which I was furiously insisted by the system prior to upgrade form JB to KK that I use the said app. Now I can't retrieve my old SMS trapped in the blamed dead app) everything's peachy. No mods needed. No network, signal, battery or notification problems as stated in the previous posts. Granted I got this bnew last November (8GB) but it has a 2013 production date it hasn't suffered any ill effects as numerously mentioned. Knock on wood! 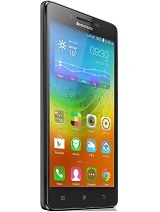 I hope lenovo stops KK development and focus on getting lollipop right on this machine instead. 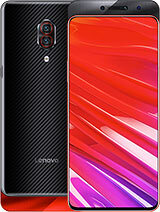 Even though this will be my last lenovo (nay, all chinese) branded phone. I'm sticking with Japanese, Korean and Taiwanese brands for all my android and PC needs, thank you very much! Battery drains faster in this phone if you calibrate it using lenovo power..
sach, 03 Mar 2015Very bad about tracking signals. Not work properly with two sim cards. Battery is wonderful bu... moreI am facing same issue from last couple of months so upgraded to kitkat. But still facing same network issue. Visited to service center, they downgraded to jellybean but same issue. Never ever buy the hell phone. Can't update Kitkat if you do then gone. They will never replace once purchade date is more than 7 days. 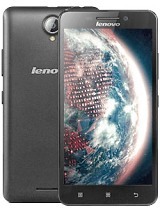 do the back cover of lenovo s850 have any special features? it is different than other covers and bit interesting..do anyone have any idea.? 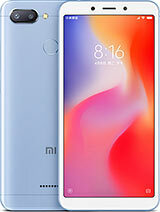 AnonD-368186, 03 Apr 2015You're lucky I live in Brazil and I took a bad phone.Its not like that my bro,,, just restart it frequently, switch it off for atleast 2hrs a day, if you have upgraded to Kitkat then follow these,, Master reset it,, do a half a dozen restarts, if signal drops then go to sim management just turn off both sims, and activate them after a couple of minutes. No problem with my phone even after upgraded to KItkat just a bit less battery back up. But specs are awesome. if you wish follow my tips and you will not be sad. The phone is 7/10 on kitkat. AnonD-376703, 19 Mar 2015Really great phone, have been using it for 2 years. Best battery ever. Using phone daily as... moreWhere do You live? Mrkoool, 26 Mar 2015Listen guys,,, am a lover of my lenny p780 and i always wanted to upgrade it to Kitkat. After ... moreYou're lucky I live in Brazil and I took a bad phone. hey friends what's difference between 4.2 and 4.2.1? which is more stable? Jellybean runs well on P780. But after Kitkat 4.4.2 update phone got slow, Contact Manager takes too long to load. Bad update. Lenovo developers should fix it. 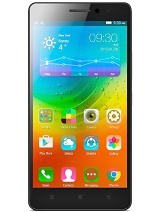 vicky, 11 Mar 2015the lenova p780 mobile very bad i bought this phone for battery the battery is ok good but i... moreWhere will I find a new motherboard, to solve this problem? I agree, the unit has a poor reception but the wi-fi is great.E the battery is very good. 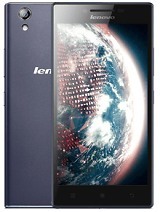 Listen guys,,, am a lover of my lenny p780 and i always wanted to upgrade it to Kitkat. After reading lots and lots of negative feedback i din't upgraded it. But Last week I dared to upgrade it, i took out the sim and memory card as there were no imp except whatsapp and some other miscellaneous junk. I upgraded from jellybean to Kitkat s228,, and then i master reset it, and inserted my sim and sd card,,, have done some half dozen restarts,,, this update is really working for me. Every thing is so fine that all these days i was misguided by negative reviews. now am on 4.4.2 kitkat. and use Nova Launcher. Battery lasts for 1 and a half day no matter how i use it. and camera takes good pics compared to JB, but issues with a bit of slight heating other than that no issues. Later on updates might solve this. Batter would last for two complete days in JB now lasts for a one and half day. Many many good features are added i just love it and changed my mind of replacing it and buy Samsung A7. 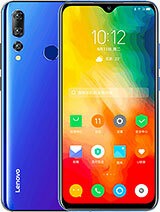 few cons like Front facing camera which is worse not for selfies but for only video calling, very very slight heating near the ear piece, and battery backup decreased a bit, Hope in next update these all things would be solved .thanks to the Lenovo team. Do not believe in negative reviews. 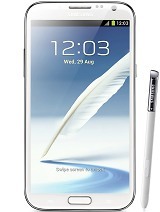 Mine is 8gb version. Indian Row.